A carver dining chair for each end of the table, Irvington could well be the most stylish piece in your dining area. Crafted from oak and birch. Pour another glass. Irvington has a cosy upholstered seat and backrest, so you can indulge in those long post-dinner conversations. 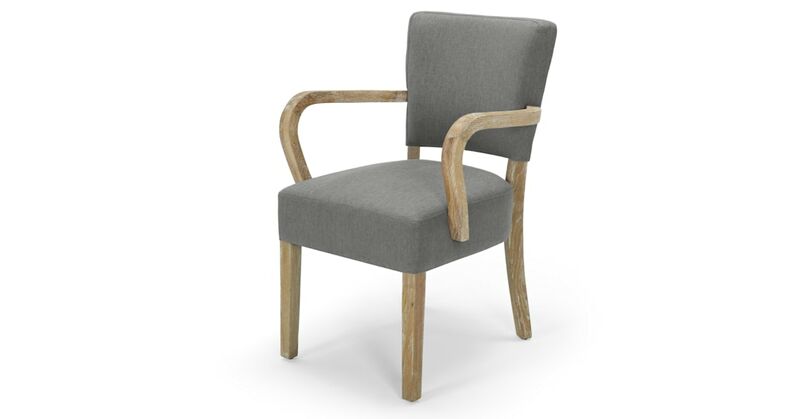 Those swooping curved armrests give this traditional design its modern twist. As does the sleek gap between the backrest and seat.